An ASTM Class 6 test weight set that features 12 stainless steel calibration weights and everything necessary for quickly checking balances and scales is available from Alliance Scale, Inc. of Canton, Massachusetts. Alliance/Ohaus ASTM Class 6 Weight Sets are designed to let users perform accurate daily quality control checks on balances and scales anywhere in a facility before beginning a process. 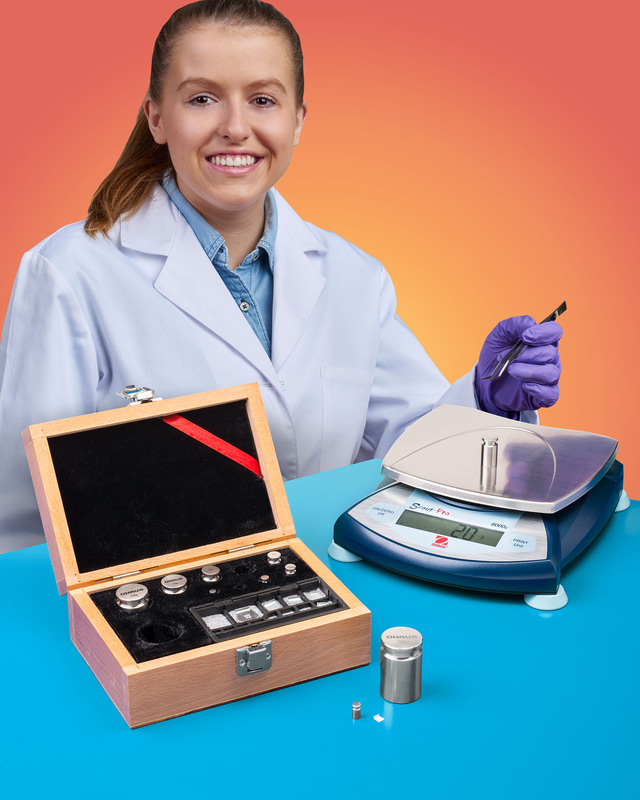 Packaged in a handy wooden box, this portable set features 12 stainless steel calibration weights cradled in foam and includes tweezers for proper clean handling without touching. Available in nine calibration variations including 50g x 10mg, 500g x 1g, 2000g x 1g, and several other sizes in between, Alliance/Ohaus ASTM Class 6 Weight Sets are lead-free and suitable for a wide range of applications. They are ideal for commercial, educational, food preparation and processing, small industrial, laboratory, and pharmaceutical QC calibrations. Alliance/Ohaus ASTM Class 6 Weight Sets are priced from $45.00, depending upon size; available online at www.alliancescale.com .